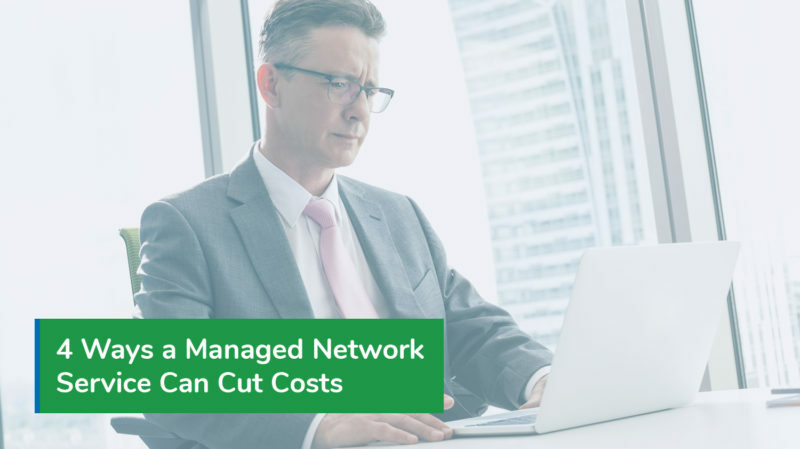 If your organization is not using a managed network service, there is a good chance you are paying more than you have to for connectivity and IT infrastructure. The managed service provider industry is growing every year, and analysts project that trend to continue at a rate of 11% up until 2022. The trend towards consolidated IT infrastructures is a powerful one because of the cost-cutting benefits that managed networks provide. Importantly, thanks to the way managed service providers work, these benefits are entirely scalable. A small business with less than ten employees can cut costs and improve productivity right alongside a major enterprise with hundreds or even thousands of employees. Whether your business is brand new or well-established in its field, there are savings to be earned by switching to a managed network infrastructure. One of the main obstacles that organizations run into when implementing IT infrastructure is scalability and growth. What works for a startup won’t produce similar results for an enterprise-level business. This is especially true when it comes to investing in physical on-premises IT equipment. The nature of cloud technology makes it uniquely suited to accompany growth. Since there is no need to invest in on-premises hardware, organizations have more resources on-hand for other key investments, like improving core business processes. Cloud technology puts your business data in highly capable hands, offering unlimited connectivity and business continuity so that your employees can focus on what they do best. Despite this, only 54% of managed service providers offer strategic cloud solutions, according to CompTIA. That figure is critical, because it means that organizations can’t rely on any managed network service to offer strategic cloud services – only the best and most reputable. Implementation concerns go hand-in-hand with scalability. If you have your own on-premises network solution and are comfortable making investments to handle continuous growth, the next thing you must ask yourself is how long it takes to implement new systems to handle that growth. Importantly, there is more to implementation than simply procuring and installing new network equipment. You must also account for the time you spend researching the newest tools beforehand and teaching your employees how to use them afterwards. Both of these activities can quickly become expensive and time-consuming as resources are dedicated to open-ended goals that could take days, weeks, or even months. On the other hand, a managed service provider’s job is to consistently keep up with the newest technologies and deploy services that use those technologies rapidly. Without managed IT services, you are fully responsible for accurately budgeting your monthly IT costs. The trouble is that it’s difficult to determine just how much of your existing network infrastructure you use in any given month, and it is even more challenging to predict future months’ network usage. In many cases, supervisors take to simply adding up rounded figures to come up with an educated guess, and hope that it hits as close to home as possible. In reality, there are always hidden costs that don’t make the list. A managed network service transforms this haphazard method of IT budgeting by replacing it with a predictable monthly fee schedule. There are no cost overruns, no surprises, and no time-consuming accounting mishaps. Your IT system is likely using an ad hoc patchwork of different single-use tools to accomplish core business processes. In many cases, organizations’ desire to “stick to what works” leads them to keep using obsolete hardware and software far beyond each particular tool’s usability lifetime. As mentioned above, dedicating time and resources to upgrading these systems is also expensive. However, having a managed network service provider do the work for you and implement a new, integrated system that replaces your slate of single-use tools with one consolidated platform can pay off. Integrated systems cost less per instance than most single-use tools, and offer better connectivity because they are designed expressly for collaborative cloud-based work environments. Call us and speak with a managed network specialist to find out how Donnellon McCarthy Enterprises can help you find the right solution for your organization.